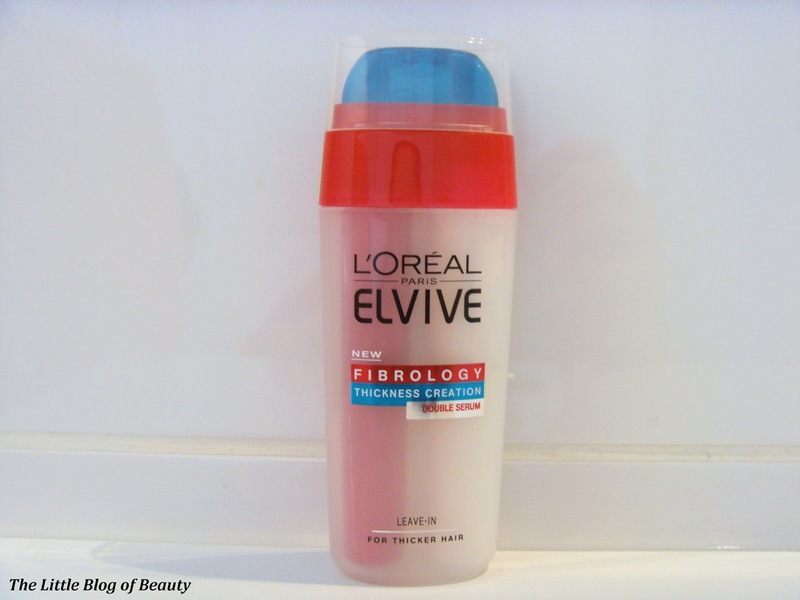 I've been using a couple of products from L'Oreal Elvive's Fibrology range for a few weeks now, so I thought it was about time I let you know what I think. 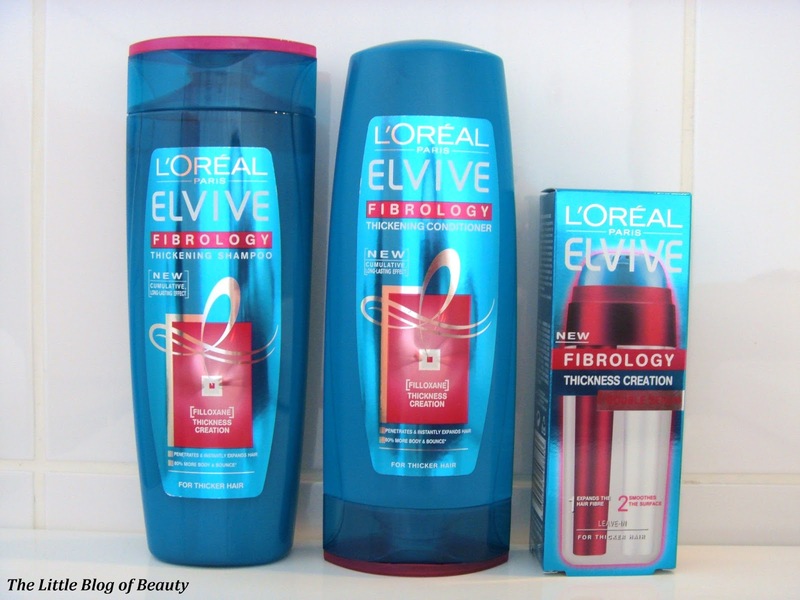 I've been using the shampoo, conditioner and the double serum. As I said in my first post about the range (post here) the products contain Filloxane, which penetrates the hair fibre and expands to thicken the hair. This remains in the hair fibre, it isn't washed away when you rinse your hair, and builds up the more you use the products. 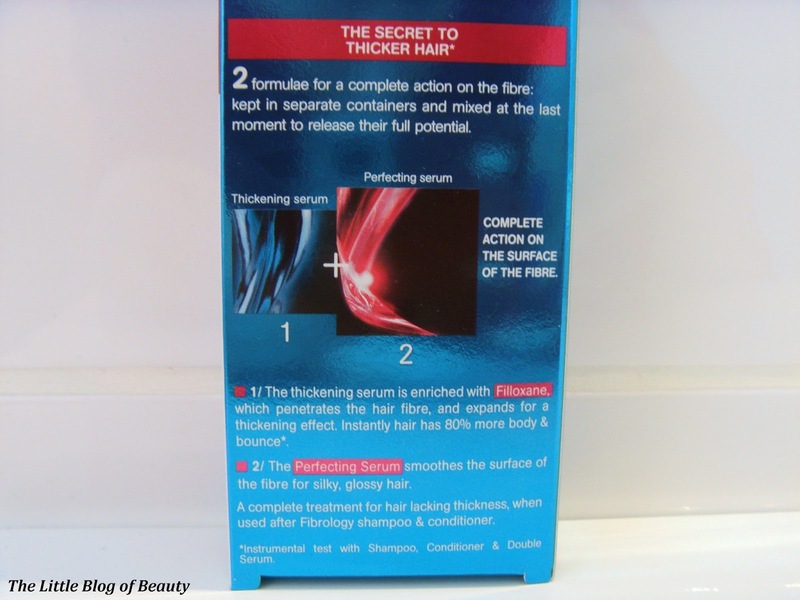 Therefore, over time your hair should become thicker. If you later stop using the products the Filloxane won't be washed away immediately but will wash away over time if you don't use the products again at least occasionally to top up. The shampoo and conditioner are both really nice to use. They both have a pleasant smell, the shampoo lathers well and the conditioner feels thick and creamy. You don't have to use very much of either product and at just £3.99 each for the large size bottles (400ml) this makes them very good value for money. On the Boots website they do have smaller size bottles (250ml) for £2.99 each but I haven't personally spotted these in store yet. 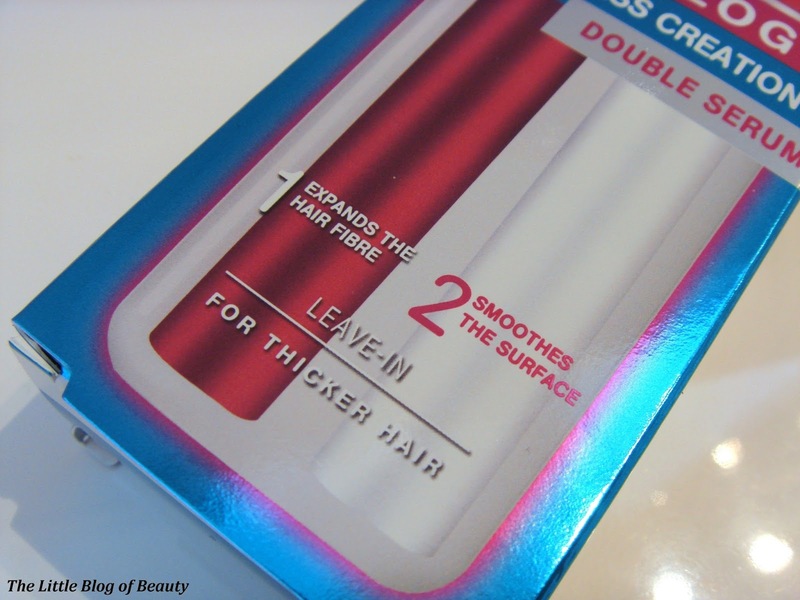 The double serum features a separate thickening serum and perfecting serum that are merged together when dispensed from the pump. Both serums are quite thin and runny but not unusably so, you just have to be a little careful. When I leave my hair to dry naturally I don't notice much difference because to be honest my hair dries quite fluffy/frizzy anyway. I do however notice a difference when I use heat on my hair, either to blow dry straight or straighten it. I wouldn't say that my hair is now lusciously thick and that I can see a significant difference in the thickness of my hair, but I can see a difference. The main difference I can see in my hair is that once it's been straightened my hair has more volume and bounce, is more swishy and just generally looks really nice and well behaved. While I would definitely repurchase the shampoo and conditioner to use occasionally while using other products or as my main products I'm not sure how much the serum adds to the thickening effect and whether this is any more beneficial than just a standard serum. I would definitely consider also trying the masque but I don't think I'll be giving the thickness booster a try as apparently you have to use so much this would probably only last 2 to 3 washes. Overall I'm really pleased with the effect that the shampoo and conditioner have on my hair and I'd definitely recommend giving it a try. The range is still currently on 3 for £10 in Boots so now would be a great time to try it out. Have you tried Fibrology yet?